This survey course covers the basic elements of public health along with the complex ethical and political issues central to public health. 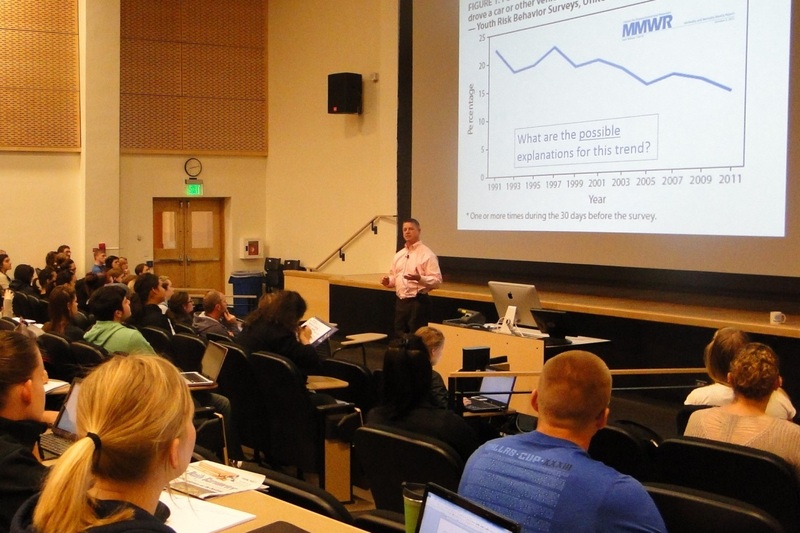 The class is open to undergraduate students of all majors who want to know more about the field of public health, what it is, how it’s organized, and how it works. The largest section of the course is taught in “hybrid” format–approximately half of the material is online, and half in class. Much of the fundamental, more didactic material is online, so that students can review it as many times as they wish, at whatever pace they wish. This allows students new to public health to linger on materials they’ve never seen, and more experienced students to review some familiar material more quickly. We save our in class time for illustrations and case studies, with interactive activities whenever possible. H100 is offered fall, winter, and spring terms. In recent years, it has been a big class, topping out at 350. There are also online H100 sections offered most terms, which cap at around 35 per section. Check the OSU catalog for details. © 2019 Viktor Bovbjerg: Teaching and advising, all rights reserved.